Please be aware of Facebook's terms and conditions, privacy issues and any of your institute’s relevant rules regarding social media before signing up. Click on Join Group (note: you may need to use a browser based version of Facebook to join, as currently you can't join groups using some Facebook apps (including those for iphone and ipad). Once joined, however, you should be able to interact with the group via the app. This will send a message to the page administrators here at the QTU. Once they have confirmed you are a QTU member, you will then become a member of the group. From then on, when you login to Facebook, you should then be able to find TAFEbook, listed on your home page under "groups". Please read the code of behaviour for the group, which can be found under the "files" tab on the group page. Employed for 36 ¼ hours per week, TAFE educators’ work is divided into contact, non-contact, recognition of prior learning (RPL) and discretionary time. Of these hours, 32 are accountable. The default full teaching load of 21 hours contact must be timetabled, as must non-contact. Time allocated to RPL is recorded in 15 minute blocks and reduces contact and non-contact. Non-contact covers duties other than teaching. By agreement, accountable non-contact may be used off-campus. The 4.25 hours of discretionary time isn’t timetabled, but must be used “reasonably”. Contact hours outside 8am or after 6pm (span of hours) are counted at one and a half times. Overtime is for contact above the agreed teaching/tutoring hours, and is paid through overtime rates or accrual of TOIL. Teachers may agree to teach up to 25 hours without incurring overtime (tutors up to 28), while teaching above 25 hours incurs overtime regardless. Non-contact over 32 hours is TOIL only. The overtime rate of pay remunerates teaching only, including payment for associated non-contact duties. TOIL is accumulated on the basis of one hour of TOIL for an hour of work, whether contact or non-contact. It’s paid out at the employee’s hourly rate after 40 hours, or if time off isn’t used prior to the following semester. NAT, with four weeks’ notice. Class size guidelines are set in the award. They can be varied following a risk assessment. Any changes should be by negotiation. Programming and timetabling is a consultative process and must be prepared for a six or 12 month period. Teachers must have timetables for the next semester four weeks prior to taking NAT. 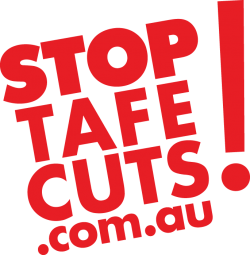 TAFE teachers can travel for work and the travel time is included as a part of the 32 hours unless it falls before 8am or after 6pm, when it attracts either a flat rate or TOIL.